The list has been radically slimmed down! Good luck to the five worthy finalists in the Best Food/Drink category for this year’s Irish Blog Awards, which are taking place this Saturday in Galway. Good to see some of our regular favourites – Ice Cream Ireland, Daily Spud (both previous winners at the Blog Awards) and Good Mood Food – alongside The Beer Nut’s comprehensive notes on decent beers and Paul J Kiernan’s take on all things wine. May the best blog win! Before you run out of St Patrick’s Day, scoot over to the Daily Spud to view her parade of food, with floats loaded up with all things Irish, including Beef and Guinness, Soda Bread, potatoes, plenty of whiskey and my own Potato Apple Tart. Lots of happy eating there! Congratulations to all those on the long shortlist for this year’s Irish Blog Awards, particularly the 25 competing in the best food/drink category. 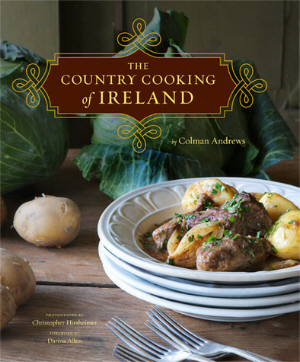 Sadly Bibliocook didn’t make it through this year but the list below will give you a good chance to catch up with what is going on in the Irish blogosphere, particularly if you’re interested in food! When you have a child, you suddenly have something in common with a lot of other people and I’ve discovered that this new world of parenthood can be a lot easier to negotiate with friends in a similar position, whether in the real world or online. It’s that time of the year again. 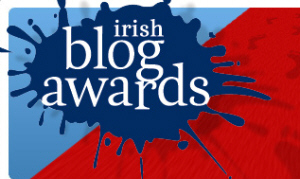 The Irish Blog Awards longlist has been issued and it’s great to see Bibliocook getting a mention in the Best Food/Drink Blog section, again this year sponsored by Bord Bia. Last year’s awards took place in the International Airport Hotel in Cork so off I, plus Little Missy bump, toddled for that night’s festivities, even if we had to go home a little earlier than the rest of the partygoers! I swore I wouldn’t get sucked in. Ah, the promises I make to myself!This whole social networking thing can be like a black hole, whole chunks of the morning – work time for me while Little Missy sleeps – disappearing while I catch up on Kieran Murphy’s ice cream tweets and check out A Taste of Ballyhoura Country’s Facebook page. But, for a freelance journalist working from a cottage in the middle of nowhere, North Cork, this is as close to an office watercooler as I’m going to get.